Judy R. Dubno, PhD, is unquestionably one of the most outstanding researchers in audiology in the United States today. Throughout her distinguished career in audiology and auditory research, Dr. Dubno has built an extensive research program that has addressed a wide range of key issues pertaining to auditory perception, sensorineural hearing loss, presbycusis, and speech recognition. After earning her PhD in Speech and Hearing Science from the City University of New York Graduate Center, Dr. Dubno completed a post-doctoral fellowship at the UCLA School of Medicine, where she remained as a faculty member for several years. In 1991 she relocatied to the Medical University of South Carolina in Charleston, South Carolina, where she currently is professor and director of research in the Department of Otolaryngology-Head and Neck Surgery. Dr. Dubno’s multi-faceted research program on human auditory system function has made long-lasting contributions regarding the encoding of auditory information in simple sounds and speech, as well as how these abilities change in adverse listening conditions, with age, and with hearing loss. In each of these areas, Dr. Dubno has had a significant impact on our fundamental knowledge of auditory perceptual abilities, and on clinical audiologic methods of assessment and rehabilitation. 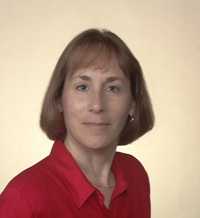 Throughout her career, Dr. Dubno has tackled complex scientific issues with an interdisciplinary approach, including speech perception, psychoacoustics, electrophysiology, and cognitive neuroscience. Her thorough and meticulous approaches have moved the scientific understanding of hearing loss and speech perception forward in a manner that will serve as the basis for many years of future research. Her classic articles on adaptive procedures in measuring speech recognition, published with Dr. Don Dirks, have been widely adopted as standard research and clinical methods. Dr. Dubno is an extremely productive researcher with an extensive scientific publication record of articles in premier peer-reviewed journals and highly regarded chapters and reviews. Her seminal papers have had a far-reaching impact on the field of audiology, and have established a new standard for precision and clarity in auditory research. The citation rate for her publications is among the highest for any researcher in our discipline. Dr. Dubno’s research program is very highly regarded by her peers and has had a substantial influence on research conducted by other investigators. Thirty years of continuous support for her research from the National Institutes of Health (NIH) is testament to the quality of her work and the high esteem with which her colleagues view her contributions to science. In addition to her current role as principal investigator on two large externally funded grants, it is notable that she has also served a co-investigator on numerous additional projects. Finally, Dr. Dubno has generously given her time to the professional and research communities in audiology, through her extensive service on editorial boards, national scientific boards, and NIH review panels. Along with committee service to national scientific societies, she has served as president of the Association for Research in Otolaryngology, a member of the NIH National Institute on Deafness and Other Communication Disorders (NIDCD) Advisory Council, and currently is vice president of the Acoustical Society of America. Despite these demands on her time, Dr. Dubno has always proven to be the consummate team player and a pleasure with whom to work.